Karen Uhlenbeck is the first female mathematician who wins the Abel prize. This prestigious prize is named after the Norwegian mathematician Niels Henrik Abel. The prize is awarded to laureates who have made extraordinary contributions to the field of mathematics. The Abel Committee recognized Uhlenbeck “for her pioneering achievements in geometric partial differential equations, gauge theory and integrable systems, and for the fundamental impact of her work on analysis, geometry and mathematical physics.” She is the first woman to be awarded this top honor in mathematics. 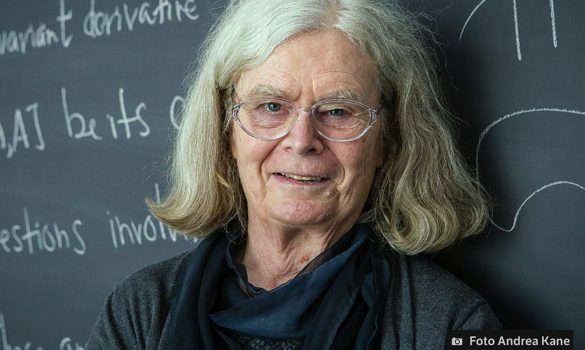 Uhlenbeck has been awarded the prize for her work in the fields of gauge theory and geometric analysis, which have been credited with far-reaching impact in both mathematics and physics. Uhlenbeck has always blazed a trail for women in mathematics. When she was awarded the American Mathematical Society’s Steele Prize for Seminal Contribution to Research in 2007, she blamed the culture of the mathematical community for the small number of women in leadership positions. In a self-deprecating summation of her award-winning work, she said “changing the culture is a momentous task in comparison to the other minor accomplishments I have mentioned”.